Arwind or Jayson's taper fade? 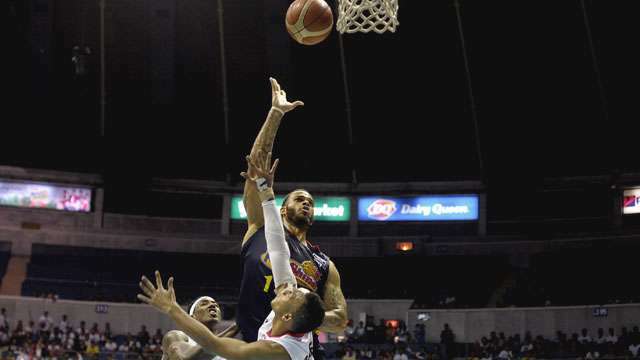 The San Miguel Beermen have reasserted themselves against the TNT KaTropa, taking Game 3 of the 2017 PBA Commissioner's Cup Finals on Sunday, 109-97. 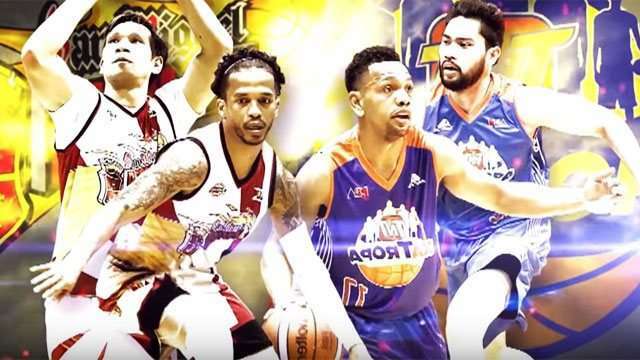 Alex Cabagnot (28 points, 9 rebounds, 6 assists), Chris Ross (17 pts, 5 ast, 4 steals), and import Charles Rhodes (25 pts, 20 reb) connived to give the reigning Philippine Cup champions a pivotal 2-1 lead in the series. But enough of the typical, boring recap. We can't help but turn our attention to another kind of game that is being showcased by the major players in this finals: hairdos. Interestingly enough, these on-court styles can easily be achieved by fans themselves. Brush up on your haircut of choice before brushing up that mop—literally. The BPC frontrunner proves that a healthy mane doesn't have to get in the way of your game. No need to bun in it a weird way like Cabagnot while playing, though; here are a few long hair pegs. Ah, the most dominant local player (three-time MVP) opts for one of the most classic looks. If you're someone like Fajardo who is all business, short hairstyles are undoubtedly the way to go. In terms of popularity, this may be the easiest to recreate these days aside from the pompadour. Although a headband doesn't really match any of these recommended styles outside of basketball. It may not be as neat as advertised in-game, but it makes Semerad look the most stylish off the court. Before heading to your favorite barber, decide among a couple of brush-up variations. A toss-up between him and Ronald Tubid—kidding! To avoid committing the same mistake as the latter and find what suits you best like Tautaa, check out our style guide for the five o'clock shadow.